Riyadh and Islamabad are united by a historical relationship that has grown ever stronger since Pakistan’s independence in 1947. Saudi-Pakistan relations are based on effective coordination in religious, economic, political, cultural and military affairs. These relations are expected to continue to flourish and to evolve into a comprehensive strategic partnership through joint coordination on regional and international issues. This will enable the two nations to achieve their common interests and to advance their positions, as well as to increase their influence across their respective geographical regions — Saudi Arabia in the Middle East and Pakistan in South Asia. This strengthening alliance will boost the two countries’ ability to face challenges at home and abroad in a way that achieves security and stability in these two globally significant regions. Relations between the two countries are not confined to the areas of military and diplomatic cooperation, having expanded to new horizons through significant levels of Saudi investment in Pakistan, especially in the increasingly important Gwadar port, and through the establishment and funding of the private sector in both countries. In addition to these ties, Saudi Arabia also hosts 2 million Pakistani workers, who are employed in a wide range of sectors. As well as all these vital areas of partnership, there is, however, another field in this relationship that needs continuous work, coordination and liaison: The relationship between the educational, research, academic and media institutions in the two countries. I recently visited the Pakistani capital Islamabad, along with a delegation from the International Institute for Iranian Studies (Rasanah). There we met a host of prominent academics, media figures, and senior military and civil society officials. During the visit, we delivered lectures and engaged in open panel discussions with professors and university students. These meetings were friendly, candid and transparent in relation to issues of common interest, as well as on regional and international issues. In addition to these discussions, we also met with several businessmen who expressed an interest in entering the Saudi market. They were offered the customary generous facilitations presented by the Kingdom to new investors. As we await the keenly anticipated visit by Crown Prince Mohammed bin Salman to Islamabad, we hope this will coincide with the launch of a strategic dialogue forum between experts, intellectuals, academics and educational centers in both nations. I have no doubt that the brotherly people of Pakistan love the Kingdom to a great degree. Despite this, however, some media platforms there have, unfortunately, deliberately slandered Saudi Arabia and spread false or misinformed reports, whether as a result of lacking accurate information, personal vendettas or possibly even working for hostile foreign government agendas. Thankfully, our discussions during our visit with many of the country’s leading journalists and researchers clarified and explained the realities of life in Saudi Arabia and the reason behind the Kingdom’s positions on some issues, especially at the regional level. We found a receptive and understanding audience among these eminent figures and an acknowledgment that they had not been sufficiently informed on these issues previously. This experience demonstrates the need to continue holding such meetings with members of the intellectual elite and prominent media figures in Pakistan on a regular basis. 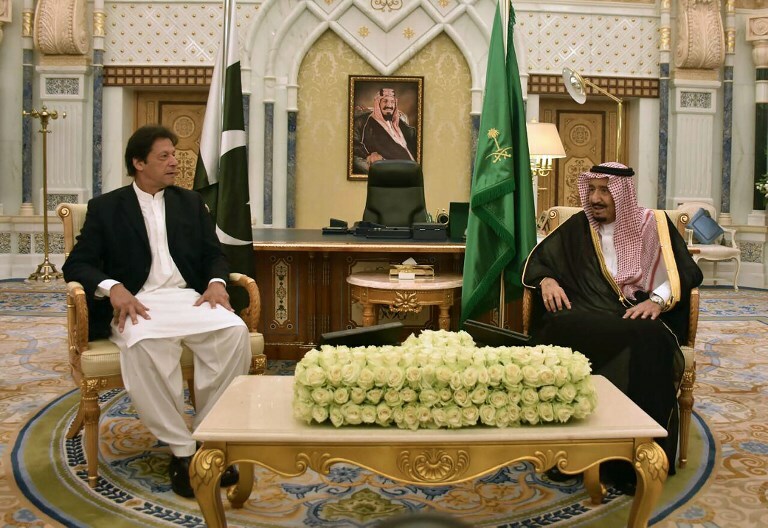 There is also a need to organize reciprocal visits to Saudi Arabia for prestigious Pakistani figures, who influence public opinion there, so they can meet with their Saudi counterparts and keep abreast of the latest cultural and modernization developments in the Kingdom. These figures should be warmly welcomed and given every opportunity to experience the rich cultural diversity in Saudi cities, and every effort should be exerted to forge stronger partnerships between media and educational institutions in the two countries. We also suggest the establishment of academic exchange programs between universities in the two countries. This would allow students and faculty members in all fields to experience the educational system in both nations, as well as grant scholarships and encourage research participation in various scientific fields in the two countries, along with efforts to boost the publication of joint scientific research papers. As we await the keenly anticipated visit by Crown Prince Mohammed bin Salman to Islamabad — where several agreements on trade and investment worth billions of dollars will be signed in order to further advance bilateral relations — we hope this will coincide with the launch of a strategic dialogue forum between experts, intellectuals, academics and educational centers in both nations. We hope that such a forum can be launched during this blessed visit and that it may be held annually on a rotational basis.